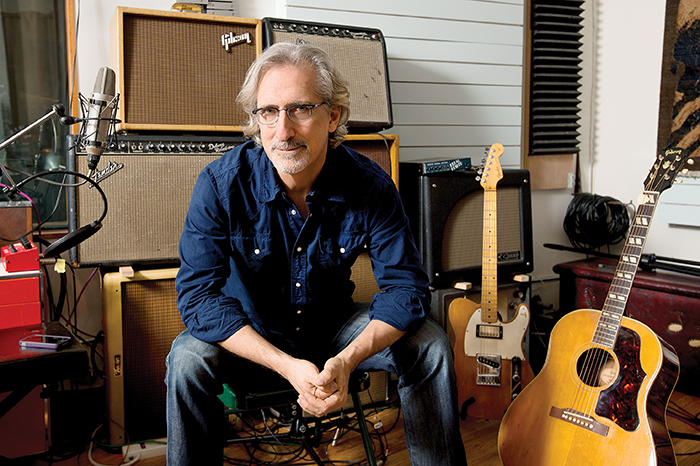 When Shawn Colvin’s Steady On won a Grammy in 1989, John Leventhal was instantly transformed from NYC sideman to in-demand producer, songwriter, and player. The first to call were Rodney Crowell and Rosanne Cash, followed closely by Marc Cohn, who was working on his self-titled debut album. Leventhal’s work with Cash resulted in the introspective, pop-flavored The Wheel, and the two married in 1995. In ’96, Colvin and Leventhal reunited for A Few Small Repairs, which won Grammys for album of the year and song of the year (“Sunny Came Home”). 2015 was a banner year for the team of Leventhal and Cash, as she won three Grammys for her Southern-tinged The River & The Thread, produced and co-written by Leventhal, who was subsequently awarded Instrumentalist of the Year honors at the Americana Association Awards. In mid ’16, Leventhal completed his latest project, William Bell’s This is Where I Live, for the revived Stax label. It won the Grammy for Best Americana Album and was nominated for Best R&B Performance for “The Three Of Me,” written with Cohn. All told, Leventhal has produced work nominated for 16 Grammys to go with a catalog of hit songs as a writer, and guest spots with artists ranging from Donald Fagen to Dolly Parton. The initial impulse was definitely The Beatles. They hit me pretty hard; Beatles 65, in particular. Why do you feel it’s important that you write songs? The realization that the Beatles wrote their own tunes might have impacted me, but I think in some fundamental way I’m just wired with a need to write music. I’m compelled… I don’t really have a choice. I suspect it even comes a step before playing the guitar. I love the guitar, but from an early point in my musical life I was also looking beyond it in a lot of ways. I could generally muster more feeling coming up with a compelling chord sequence than playing guitar licks. Plus, from a relatively early point, I started to play bass and piano, probably attempting to work out writing and record making ideas without necessarily being conscious of it. Leventhal playing onstage with his ’98 Fender Nocaster Relic. When the opportunity arose to co-produce Steady On for Shawn Colvin, were you prepared? Not really. I had written the tunes with her and had made the demos, which got her a deal. Naturally, I had ideas about how they should be recorded, but at that point I didn’t have enough knowledge of the studio, engineering, or mixing. I was bursting with ideas and had opinions about what everyone should play, but I hadn’t learned the art of conveying them in a way that keeps everyone and everything creative and positive. I remember putting a fair amount of effort into making the rhythm tracks fresh and different, and battling the drummer quite a bit. By Fat City and Cover Girl, your role with Colvin had diminished. Were you too busy? Steady On ended up getting noticed, so I did start to get busy, but Shawn and I had been a couple in the ’80s and our relationship basically came to end as we were making Steady On. We wrote a few tunes and spent a week in the studio starting what became Fat City, but it clearly wasn’t working. We needed time apart. ’98 Fender Nocaster Relic has a six-saddle bridge and mini-humbucker. It was his main road guitar from 1999 through 2013. How did A Few Small Repairs come about? As these things go, the air eventually cleared and she asked if I would work with her on what became A Few Small Repairs. It ended up being a great experience. I felt we were both in the zone for it. I was also starting to engineer. Probably our best work. I’m proud of it. Were you surprised by its success and Grammy wins? Sure. I felt good about the work, but you can’t predict that stuff. That album struck a chord, and while I was definitely attempting to craft a pop single with “Sunny Came Home.” I never dreamed it would take off the way it did. It was the second single, but I started hearing it every time I turned on the radio – a decidedly cool experience. If people think of me at all, I think it tends to be as a “roots guy,” but I’ve always respected and loved classic pop tradition, as well. 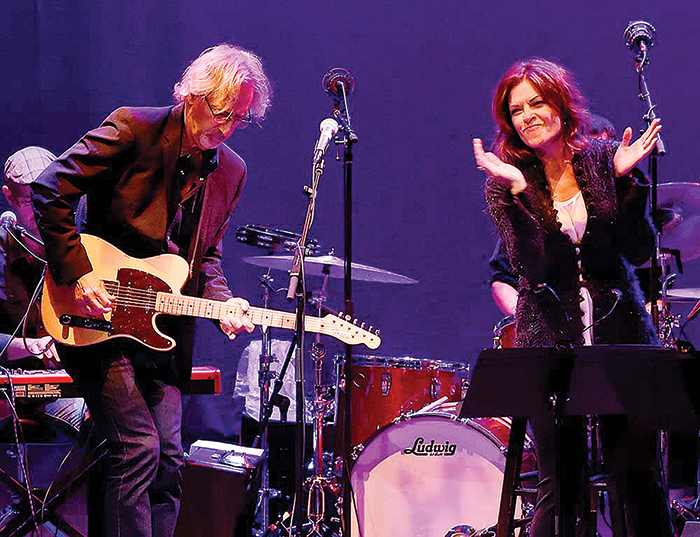 How did you meet Rosanne Cash, and end up producing The Wheel? I met Rosanne the first time I came to Nashville, in 1990. I had written an album’s worth of songs with Jim Lauderdale and recorded demos. Long story short, Jim got signed to Warner’s and Rodney Crowell was interested in producing the record. He asked Jim, who did the demos, and the next thing you know I’m on a plane to Nashville with my Tele and Strat, then co-producing the record with Rodney. I think that record, Planet Of Love, was a bit ahead of its time. The label really didn’t get it, country radio definitely didn’t play it, and the whole Americana thing was still a few years away. Luckily, some of the songs ended up being covered by other artists – George Strait recorded two – and Jim went on to find a home in the Americana community. But more importantly, I met my future wife and she eventually asked me to produce what became The Wheel. The List has you reimagining iconic country tunes in very intriguing ways. What was the process? Also, was Joan Osborne’s “How Sweet It Is” the first time you did that? I’ve always messed around with older tunes, but Joan’s project was the first effort to do it as an entire album. It was Joan’s idea, and I think I got better at the rearranging thing with The List. That record was fun; Meshell Ndegeocello played bass on a track – a very good bass player. With Marc Cohn, I did a record of songs from 1970. Of course, with these projects, you start with songs that have stood the test of time. In general, I pretend I’ve never heard the song or that I’m writing new music to a given melody and lyric. The chords, groove, and arrangement are up for grabs. I enjoy the process. It’s good to have an open mind and heart in order to find something new in classic older tunes. In my opinion, there’s really never any point in re-doing something close to the original arrangement. “Miss The Mississippi,” from The List, has some beautiful country/jazz guitar. What was your inspiration, and which instrument and amp did you use? I’ve always liked that nexus of country and jazz. Hank Garland is a big template there. He had an authentic jazz voice but could also play the tastiest country, pop, blues, or rockin’ guitar, if necessary. My kind of guy. Chet’s a big influence, as well. I believe I used my ’68 Tele straight into a ’60s Vibrolux Reverb with a bit of compression before going to tape. Nothing fancy. Neck pickup, in this case a mini-humbucker. 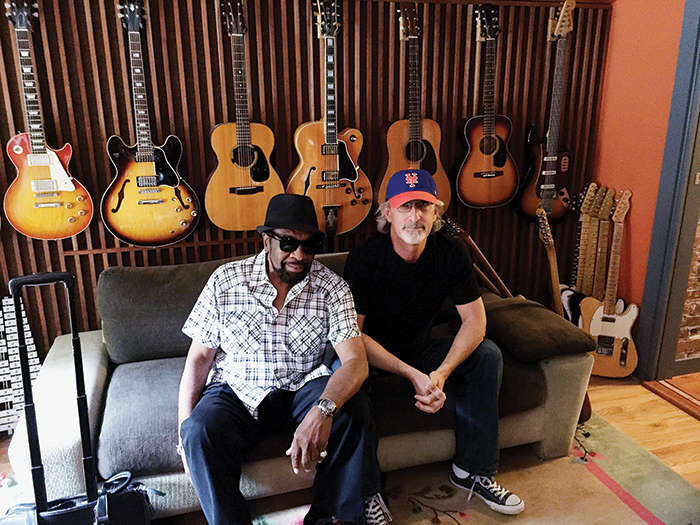 Leventhal with William Bell in the studio. The River & The Thread waxes from swamp to folk influences, with electric guitar and acoustic instruments taking turns at the forefront. 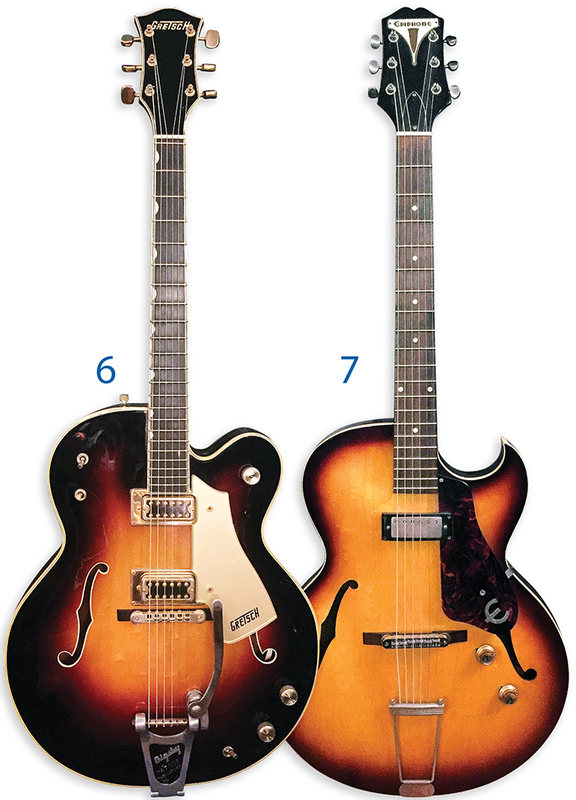 Which were your main acoustic and electric guitars on that record? Every track has different things on it because thought went into giving each its own character. I used a Tele with an original Wide Range Humbucker in the neck position. The main electric on “Modern Blue” is a ’74 Les Paul Custom. I came late to the Les Paul thing, but I love that guitar. I used a Jerry Jones Baby Sitar on one tune and a ’60s Fender Bass VI on another. It was all pretty varied. I have a bunch of great vintage acoustics, and they all get used. I have a particularly great ’30s Gibson J-35 and a ’56 J-50, and both record effortlessly, so they get used a lot. 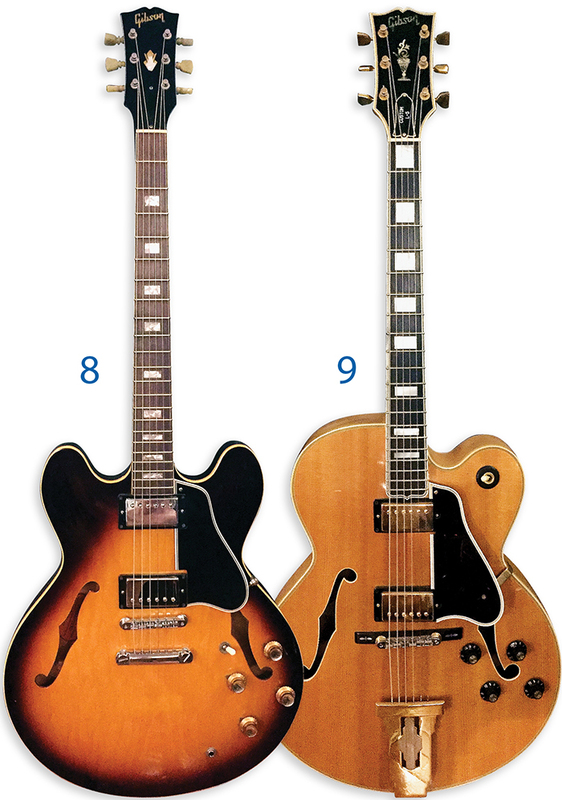 I also have a ’64 Guild F-30 and as well as an M-20 that were both used on that album. I do love old acoustic guitars. I’ve got the bug. How does your approach differ between playing in the studio versus live? They’re two different mind sets. I have very little guitar ego in the studio. I don’t come at it only from the perspective of a guitar player – I’m working to support the singer and the song, and everything is referenced against that. I never listen to the guitar – or any instrument – as an individual thing or statement. The only questions are, “Is this song working?” and “Does the vocal sound great.” To that end, different guitars, amps, and approaches are used all the time. I don’t really have a particular sound or approach, and I try not to repeat myself too much. Live, on the other hand, I tend to have a more-consistent sound and try to make more of a guitar statement with a little more of me thrown in. Hopefully, I’ve developed some kind of distinctive touch. I should say, though, that listening is crucial in both situations. I tend to say if you’re not following the lyric, you’re probably playing too much. 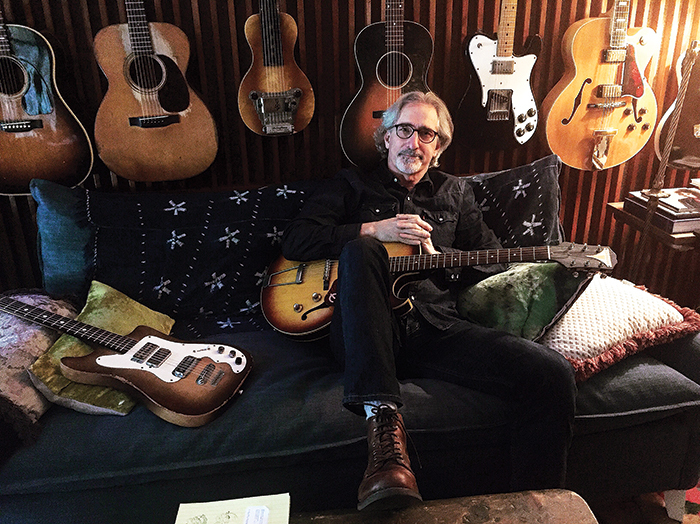 Leventhal with a ’61 Epiphone Sorrento. I’ve basically stopped doing the ambient guitar thing because I started hearing it on too many records. I didn’t originate the concept, but I was in early, using it subtly on singer/songwriter records. I got the idea in the ’80s, from hearing Alan Holdsworth use volume swells and delays to create these lovely orchestral voicings with a haunting quality. 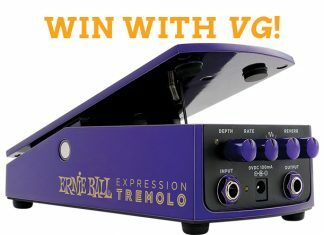 I do it with a volume pedal or the guitar’s Volume knob and a cocktail of delay or delays, occasionally with a touch of tremolo or a bit of modulation in the delay. The idea is to create a sense of mystery and/or depth in a track. You can sometimes achieve the same effect by rolling the treble off your guitar and subtly picking or doubling a part with your fingers. In the beginning, I used it to create ambient drones and washes that would bring harmonic tension to chord changes and create feeling in the track. Eventually, I started using it in more-subtle ways to create little mysterious ambiences in a song or a section of a song. Singers like it because it implies a depth without getting in their way, and it sounds more organic than a synth pad. I started to lose interest after it started to feel gimmicky. It’s generally more satisfying to create feeling and mystery with musicality and creative parts. 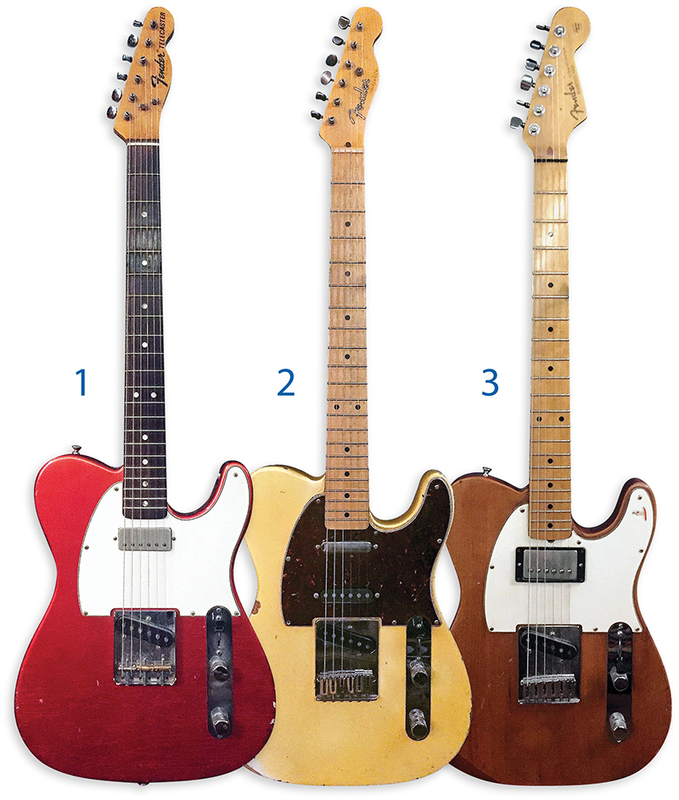 You played a Strat in the late ’80s and early ’90s, then by ’96 moved to a Tele. What made you switch? I eventually just missed the Tele; it’s what I started with. I was never entirely comfortable with the Strat, even though I used it a lot for a while. It’s the main guitar on Steady On, Planet Of Love, and Marc Cohn’s first album, including “Walking In Memphis.” Apart from another Tele, it was the only other guitar I owned during that period. I couldn’t quite afford a bunch of guitars yet. That particular Strat had EMG pickups. 6) This ’70s Gretsch Country Club can be heard on “Walking On A Tightrope” by William Bell. 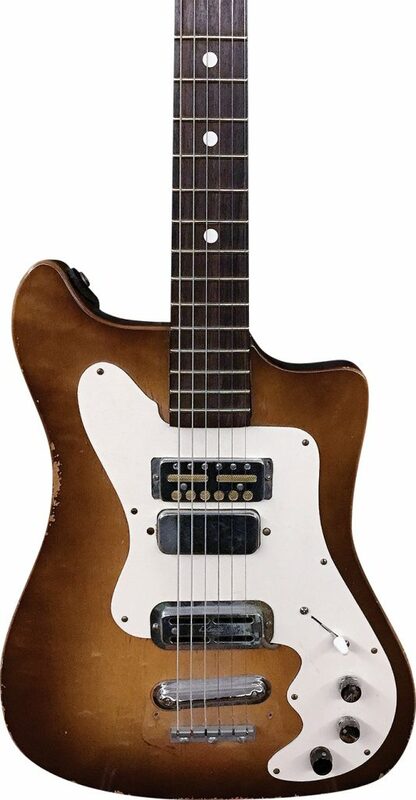 7) This ’61 Epiphone Sorrento is one of Leventhal’s favorites, used on Roseanne Cash’s The List and Marc Cohn’s Listening Booth 1970.
Who are some of your favorite Tele players? James Burton and Clarence White made me want to own a Tele. I loved James’ playing, particularly through Emmylou’s first couple of albums. But I have to say, when I first heard his solo on Merle Haggard’s version of “Frankie and Johnnie,” it changed the way I thought about the guitar. His soul-guitar fills on the Gram Parson ballad “She” also made a big impact on me. It’s pure poetry. The intent of Clarence’s playing was always riveting to me. Hard to pick a favorite, but his solo on the Byrds’ “Truck Stop Girl” just killed me. It was so funky, in an original way. On the blues and R&B side – neck pickup rather than bridge pickup – there’s Jesse Ed Davis and Cornell Dupree. I loved them both. Jesse Ed’s touch, tone, and time floored me. His playing on Taj Mahal’s “Moving Up To Country” basically taught me how to play blues guitar. Cornell was the master of the slinky two- or three-note rhythm thing that could uplift a track or groove. I used to go see him in New York City clubs all the time, and his whole stance left an impression on me. 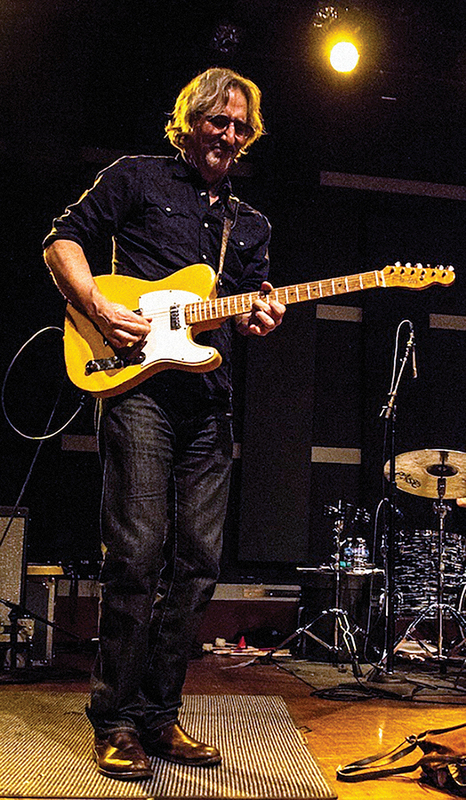 Leventhal with his ’70 Tele onstage with Rosanne Cash. 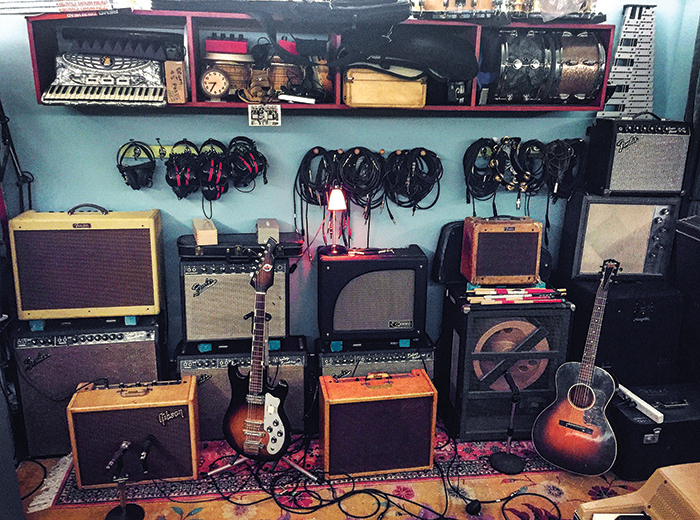 What is your touring gear with Rosanne – guitars, amps, and pedals? We travel lightly, so I bring a Tele and one acoustic. Currently, I’m using the 1970 Tele I’ve had for 40 years. At this point, nothing is original on it except the body and hardware. In the ’80s, when a Strat sound was sort of required, I put a middle pickup in it. A few years ago, I put a different neck on it, and it really became a better guitar. My pedal board consists of a FX Mirage compressor, a modded Boss Tremolo TR2, a Mad Professor Little Green Wonder for grind, Boss Analog Delay DM-2 for slapback, and a Line 6 Echo Park for longer delays. We rent a Fender 410 Deville – it’s an imperfect choice, but they’re available and relatively consistent. I’ve been using my Collings OM1 for a long time. I play it direct with an under-saddle pickup by Shertler and through the pedals and amp with a Fishman soundhole pickup. The amp fills out the sound a bit and moves it away from the under-saddle pickup thing that I hate. These things tend to require compromise but I’ve learned how to get a decent sound out it. Where you aware of William Bell before being asked to do production for others? I was very much aware of William. Growing up in the ’60s and ’70s, it was hard not to be influenced by all the incredible R&B and soul music on the radio. In many ways, it was the first music I learned to play as a professional. William wrote two of the greatest soul ballads of all time, “You Don’t Miss Your Water” and “Everybody Loves A Winner.” He co-wrote one of the best blues songs of all time and his recording of “I Forgot To Be Your Lover” is a longtime favorite of mine. How did writing with Bell differ from writing with Shawn Colvin, Marc Cohn, or Rosanne? It wasn’t all that dissimilar. I’ve done a fair amount of collaborating over the past 30 years, so at this point I’ve approached songwriting from every conceivable angle. I still love writing tunes and challenging myself to do interesting work. Marc and I had started about three tunes before I met William. I played them for William; luckily, he dug them, so I finished them with him. For other tunes, I had some music and/or a bit of lyric and if William liked it, we’d finish lyrics together. William brought in a couple of titles, so on those we proceeded to write music and lyrics together. Rosanne and I wrote a tune for William, as well. Apart from that, he and I spent a fair amount of time getting to know each other, during which I was secretly looking for things to write about. How hard was it to avoid nostalgia when producing an idiom with well-defined horn lines, guitar licks, and drum-and-bass patterns? For me, it wasn’t hard at all. I’m not interested in rehashing clichés in any genre, great as they might have been. I also consider it a losing proposition in that you’ll never create music as deep and meaningful as the originals. I trusted that our DNA had enough of the language of soul music that we could honor the tradition but still create vibrant music without resorting to mimicry or some kind of post-modern deconstructionism. Writing meaningful lyrics was also key to keeping it fresh and real. From the beginning, I knew our lyrics had to have substance. 8) This ’68 ES-335 can be heard on William Bell’s “Poison in the Well.” 9) Leventhal used this ’77 Gibson L-5 on William Bell’s This Is Where I Live. From the start, I thought it was a good idea for William to cut it because I’ve discovered that most people had no idea he and Booker actually wrote it. The question was how to do it. Albert King’s original 1967 Stax version was so definitive, and in its own way, so was Cream’s ’68 cover, that it was hard to get out from under their shadows. Plus, you have two great guitarists really burning at their peaks. Leventhal’s amp collection includes a blackface Fender Super Reverb, Vibrolux, Deluxe, a recent Blues Deluxe, Gibson GA-20T and GA-18, a tweed Champ, an ’80s Super Champ, a Fender Vibratone (missing its front panel), a Carr combo, and a Silvertone. We first cut a version indebted to the original – a bit swampier, but with the original guitar/bass line. It was a perfectly respectable version, William sang it beautifully, and I even got to play some blues guitar. But at the eleventh hour, I felt it wasn’t bold enough and didn’t achieve the goal of bringing something new. Then, I had a small insight: I didn’t necessarily need to play the original line. That changed everything. Luckily, I came up with an alternate that seemed like it could soulfully carry the original melody and bring a new perspective… sort of a trans-Delta thing. I cut it with Victor Jones on drums and me playing everything else. William really dug the first version, so I had to talk him into trying it the new way. But he was gracious enough to give it a shot – and ultimately grew to dig it. What gear did you use for this album? A good portion of the electric guitar was my ’77 Gibson L-5, which is a great soul guitar – clean, fat, and articulate. I wanted my sound to be reminiscent of classic soul, but not imitative. 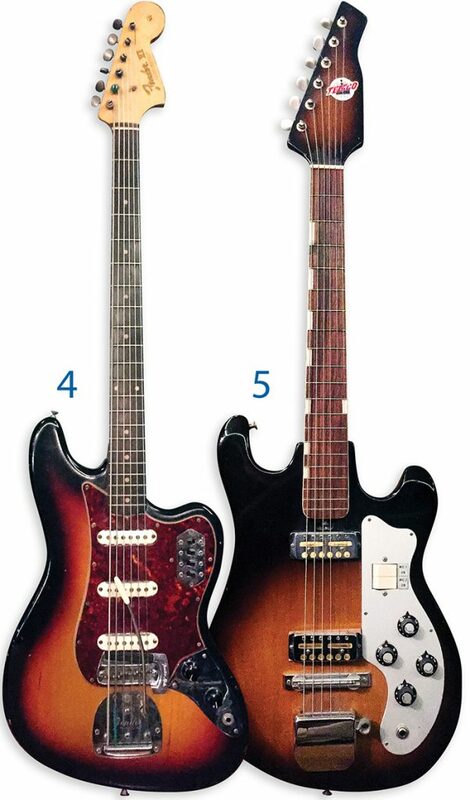 On “The Three Of Me,” I played one part with the neck pickup, the other with the bridge. It worked in a Reggie Young/Bobby Womack guitar-duo kind of way. Rosanne and I still do a fair amount of performing with our band and as a duo. I’ve also been compiling music for a possible solo project and talking to a few artists about producing. I want to get back to record making later this year. 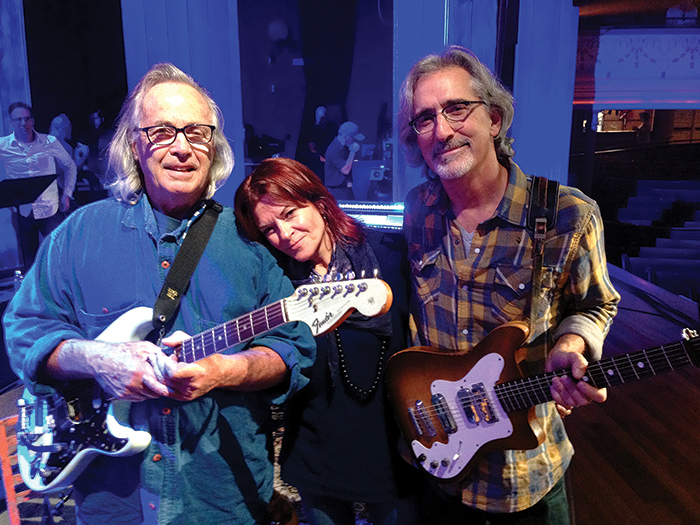 Leventhal (right) with Ry Cooder and Rosanne Cash at the 2014 Americana Music Awards. Leventhal is holding his modified Kay while Cooder has his modified mid-’60s Strat.